Yeah, there’s caramel on the side of the serving plate. It’s okay. Calm down. It’s not hurting anything. When served cooled from the oven, it’s soft and creamy, but my preferred way to serve it is after you’ve chilled the cheesecake overnight, making it more of a New York Style cheesecake — my favoritttttte. The toppings on this cheesecake are completely optional, but they do add a ton of “Wow” factor, AND make the entire baking process significantly less stressful by removing any worry of a cracked top. 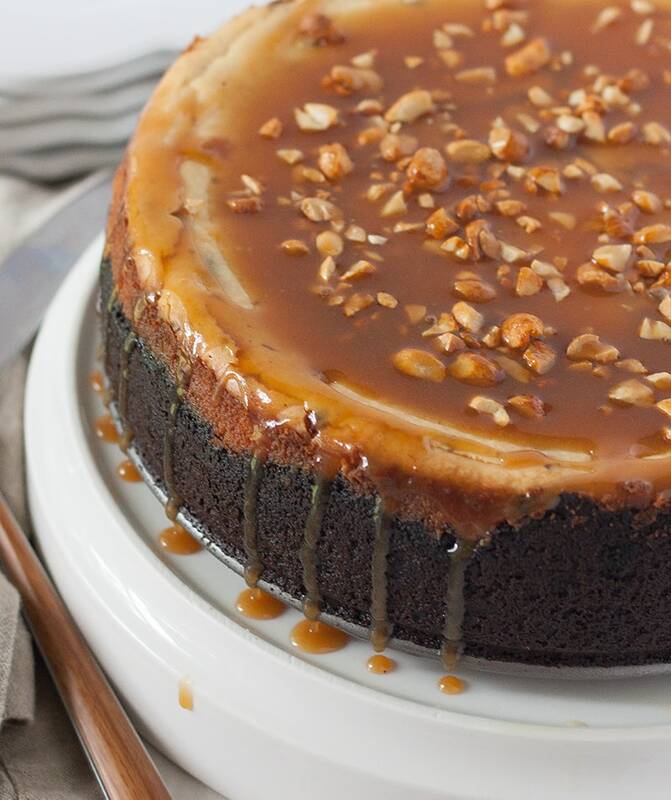 Yep, your cheesecake may crack, but it’s okay because you can douse it in caramel sauce and nuts and more Snickers and more caramel and more nuts and … well, you get the idea. Low-stress cheesecake is where it’s at, people. You can preach water baths all you want, and I am a believer of them, too, but sometimes you just don’t want the FUSS of all of that. And who doesn’t love something covered in caramel? Dousing in caramel makes everything okay. This was supposed to be a whole slice, but I had to try some. HAD TO. So let loose, make a Snickers Cheesecake, and don’t stress at all if it cracks. Because caramel. And Snickers bars. It’s all going to be okay. I promise! Amazing!!! Your cheesecake and photography look WONDERFUL!!! I’m drooling all over my keyboard! this looks phenomenal! Snickers are my fav!! That looks epic! I have never made a cheesecake before and this looks like the perfect place to start! What a decadent cheese cake! I love the different colours in this too! What could be better than cheesecake? Snickers Cheesecake! I am absolutely sold on this recipe. Pinning for later! OMG! This looks amazing. So many sweet treats in this dessert! everything should be doused in caramel!! we’d be a little sticky but all would be right with the world. this is decadent, gorgeous and can’t wait to try. yum! This sounds and looks fantastic! Beautiful photos Marianne! I have been waiting for you to post the recipe ever since you posted the teaser on instagram this weekend. FINALLY. Must, eat. cheesecake. now. No You Didn’t……!! Just when I was trying to cut back on sweets! You had me at snickers…! Holy moly! This looks amazing..I had to share on my facebook page 🙂 too good looking not too! Do you put carmal sauce after it cools ? After it is mostly cooled, yes. It doesn’t have to be completely cooled though! If I ever fall off the wagon, I’ll be sure to land face-first into this. It looks amazing! Dang near ate my monitor. Hey this looks amazing! I am making it today and its my first time making a cheesecake in general. 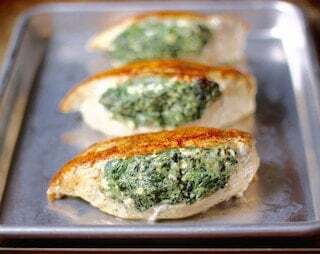 How important is it to keep it in the oven for 2 hours? I ask because I am making a pork shoulder as well and I will need it in the oven for hours so I can turn it off. You can totally take it out of the oven before 2 hours is up, but know that it’s very likely the cheesecake will crack. However, if you don’t care about the cracking then go for it! It won’t affect the taste at all! If it does crack and you want to cover that, just pour some caramel on top with some chopped snickers and/or peanuts and no one will ever know! Good luck making your first cheesecake!!!! I really want to make this cheesecake. I am not well known with english terms in recipes, so when in the recipe it says 1/2 cup of half an half what is that???????????????????????? Half and Half is an American style of cream that can be substituted with 1/2 part whole milk and 1/2 part light cream or 3/4 part whole milk and 1/4 cup heavy cream. It’s like a cream! You would get it by the whip topping and dairy products! I just made this…first hour in oven is complete..is it normal that it has risen about 2 inches above the pan?? Wow! Mine usually does creep up ( admittedly not that much! ) , and then it will fall just a bit once it cools down. I wonder if our Springform pans are different heights? Mine creeps up, but not past the pan height. I’d let it cool off enough to not be super hot to the touch, but just warm should be fine! Happy Thanksgiving! The ingredient list states 3 eggs but the instructions refers adding 4 eggs to the batter. I went with 4 so I hope either works! Oh my, you are right! I made it with 4 for a long time, but recently experimented and realized I preferred the recipe ( and it was more predictable ) with only 3. Thank you so much for catching this. I have fixed it now. This cheesecake looks absolutely fantastic! I want to make it for my dad’s birthday, since he loves snickers and cheesecakes (even better, combined). Just one litte question – I don’t think we have half and half in the country where I live (at least I have never seen it anywhere). Is there a way I could substitute it with something else? Maybe heavy cream would work? I know, the caramel topping is optional, but it looks too good to be skipped! Thanks in advance! You could substitute half heavy cream and half whole milk and it should be fine! Hi, this looks amazing, and could be my daughters dream! It’s her birthday, and I’m baking it RIGHT NOW, so excited! 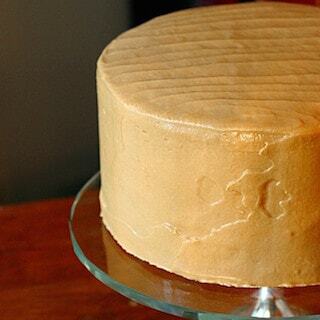 Do you suggest putting the caramel on after refrigeration? Hi Ursula! I add the caramel after the cheesecake has cooked and is cooled ( or mostly cooled ). I hope it turned out fabulously for your daughter’s birthday! Howdy – My daughter and I are planning to make this cheesecake tomorrow and we were wondering if we need to use a water bath for it? I see a lot of recipes recommend this method or do you just place it on the middle rack? Thanks again for your time. So looking forward to tasting this cheesecake. Sounds like your oven might not have been hot enough or there was an excess of butter? My oven is temp off by a TON according to the dial, so I use an oven temp gauge to make sure it’s not lying to me — works like a charm! Is a water bath needed for this cheesecake recipe? It looks amazing! I don’t like messing with a water bath, but as a result, yes, this cheesecake IS more prone to cracking. I just flood the top with caramel and no one is the wiser, and then I don’t have to deal with the water bath at all! Just made this cheese cake for my son’s birthday. This may be the most creamy cheese cake every! And it was beautiful to look at. It came out so perfect. I got lots of compliments on it. This looks so delicious! My husband would love this! I must make it asap! I think it would be just fine if made ahead and then the toppings added on Saturday! Making this today for my mom and pips 60th anniversary, super excited thank you! I’m also passionate about cheesecake and that om that dripping caramel topping gives mouthwatering and an overwhelming willingness to devour at least one piece, you’re right with this recipe you do not have to be natural or diet. Amo, I’ll do it here and prove it, I’m sure I’ll love it. I followed this recipe exactly and this cheesecake turned out perfect! I tried that cheesecake it was amaaaaaazing and tasty .. i recommend all to try the receipe. I am transporting this to a New Year’s Party tomorrow which is 3 hrs away. It will be transported in an ice chest so that it will stay cool. Should I wait and make the topping and put it on when I get it where it is going or put the topping on before I take it? Thank you! Have a Happy New Year!! I made this cheesecake for work. It was easy to make. I did notice that unlike other cheesecake recipes there was no mention of Vanilla Extract. I added a few drops into my batter and it turned out great! I decreased the amount of butter from 5 tbsp. to 4 tbsp. and it still seeped butter around the bottom when I cooked the cheesecake. I also lined my springform pan with parchment paper before pressing the crust into the pan. Otherwise, it was a hit and everyone loved it. I will deinfitely make it again and modify it some more I’m sure. I made this yesterday! We just ate it today! It turned out really great! Thanks for sharing this! Win the list of ingredients you don’t list how much cream cheese to use. How much did you use? Can I use a 10.5in springform pan? It will just be thinner? After the first hour of baking my cheesecake was still pretty jiggly. Is that normal or should I bake it longer? I’m making this for the first time! Is the Carmel topping added as it bakes…..or……do you add it after baking and then refrigeration ….. or just before serving? I made this cheesecake for a recent Holiday family gathering. It was beautiful. One word comes to mind (besides delicious) is DENSE! A small slice is very filling. 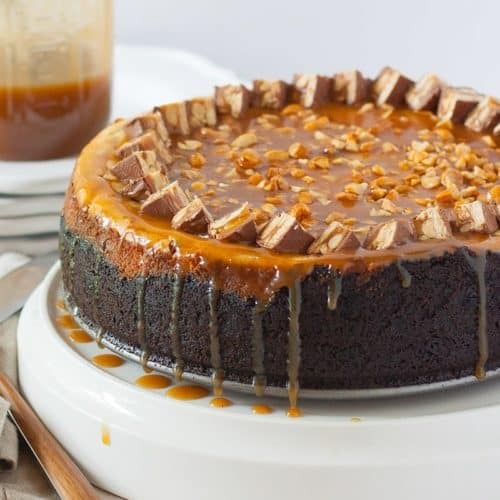 On your recipe, please specify that the cheesecake should be made in advance (a full day of refrigeration) and then top with caramel and chopped up Snickers bars and hour or two before serving. I made the caramel sauce in advance, put it in a microwavable gravy boat so I could nuke it and top the cheesecake after arriving for the party. I sprinkled some more chopped up snickers in the middle of the cake (hid the crack perfectly) and refrigerated it until time for dessert. I’m so glad I did this because moving the cake with the caramel sauce already on would have been a sticky mess! Your Snickers Cheesecake was a hit! I wish I could post a photo here….it really was beautiful! 🙂 Thank you for sharing this recipe. This looks awesome & I want to make this as a gift for my daughters teacher as a birthday gift. I am planning to make it on Monday & give it on a Tuesday morning. Since it’s a school day, it will have to sit in the school fridge all day on Tuesday before they can take it home to eat; will the toppings get gooey & soggy if i decorate it on Monday night? Should I do the caramel on Monday & just add the snickers on Tuesday morning before I leave? Or just all the toppings on Tuesday?